Sorry to be the bearer of bad tidings but this may be of interest to our members. 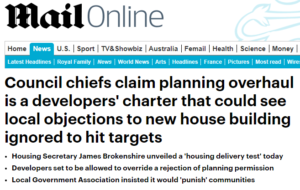 The housing minister, James Brokenshire has announced that if councils fail to build the target number of homes by 2020, developers may be able to overrule local objections and force developments through the planning process. 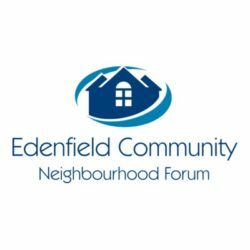 This underlines the importance of developing our own sensible, sustainable plan for development in Edenfield in conjunction with the council’s wider p;lan for the borough as a whole. Interesting article in this week’s Free Press….. 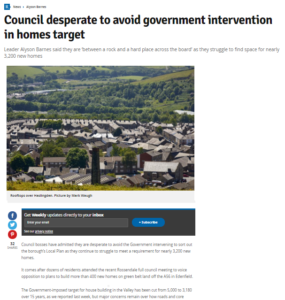 In this article, Rossendale Council Leader Alyson Barnes says that the council is ‘between a rock and a hard place across the board’ as they struggle to find space for nearly 3,200 new homes. 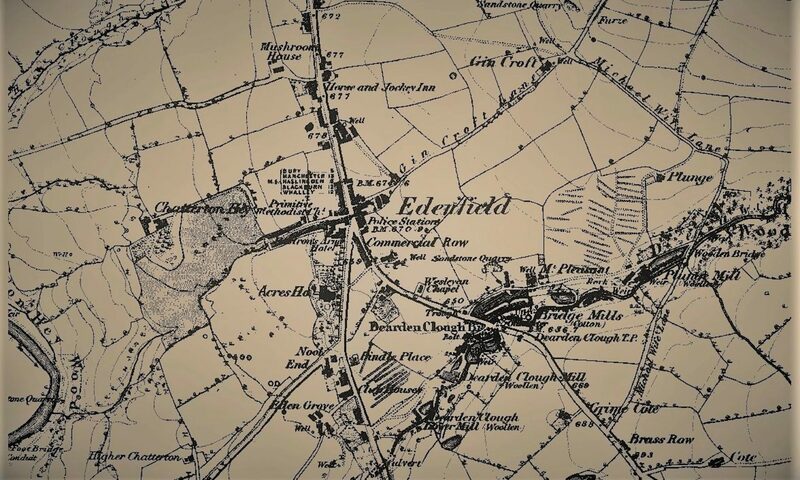 This is an interesting article describing 10 myths about the Green Belt from the CPRE.